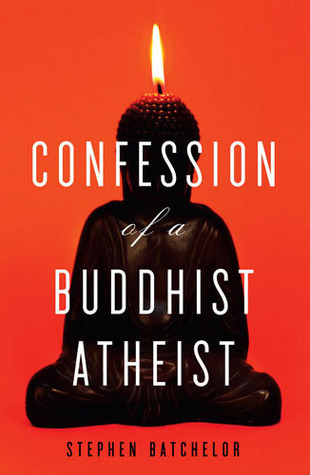 A review of Stephen Batchelor’s Confession of a Buddhist Atheist, Spiegel & Grau, New York, 2010. Since the 1997 publication of his seminal work, Buddhism Without Beliefs, Stephen Batchelor has become the popular face of what might be considered the first truly western Buddhism. A former monk in both the Tibetan and Korean Zen traditions, who has since de-robbed and married (to Martine Batchelor, herself a prominent Buddhist writer), Batchelor’s writings have drawn on his life as a monk, as well as his study of existentialist philosophers Emanuel Levinas and Martin Heidegger. In the first of two major parts, “Monk” Batchelor traces his own life as a man searching for meaning. Covering the time, from his “hippie” youth, through his time as a monk in the Tibetan and then Korean Zen traditions, and his eventual de-robbing, Batchelor tells a surprisingly personal tale. His story in grand fashion contains encounters with both the Dalai Lama and radical existentialist Levinas. However, its true heart lies in the incidents where we see a sincere mans faith in all the pomp and tradition of Buddhism fade. As enjoyable as Part One is, the book really takes off in Part Two, “Layman.” Here, Batchelor relates his own travel along the Buddha’s historical (literal, not metaphorical) path. As Batchelor travels through India, just as he’d stripped away the mystical and mythological in his own Buddhist faith, he peals away the magical and unnecessary from what he’s been taught about the teachings of the Buddha to reveal what he sees as the true original teachings. What he reveals is not a Buddha that was born a Disney movie like prince, but the son of a small local lord his travels and alliances were as much a function of the local politics as they were the demands of the seasonal monsoons. He unveils a Buddha that is a true radical, rejecting many of the cultural ideas of Hinduism while still speaking to people for whom Hinduism is the central cultural language. In the end, Batchelor’s Confession is a fascinating exploration of a spare, modern and western Buddhism. It’s lack, and unfortunately it has one, is that it perhaps does not live up to its radical posture. With a title harkening to St. Augustine, and a blurb on the back by renowned atheist Christopher Hitchens, one really anticipates a much bolder presentation. Of course, perhaps the failing is not Batchelors, but the simple fact that his ideas first introduced in earlier works has in fact become widely accepted, and what was once a troubling godless Buddhism really has become mainstream.